Our Partners | Global Professional Consulting, Inc.
Below you will read about our current partners that offer the educational needs that our students seek. Please click the pictures to access the university website for more information. Ternopil State Medical University is a public university founded in 1957. Since 1998, TSMU has been rated among the top three medical universities in Ukraine. TSMU has been awarded the IV (highest) level of accreditation by the Ministry of Education of Ukraine. Ternopil State Medical University is a leading provider of high quality medical programs for Ukrainian and international students. Currently, more than 3,000 Ukrainian students and more than 1,000 international students from 62 countries study at our university. TSMU is listed in the FAIMER (International Medical Education) directory under ECFMG and the WHO directory of Medical Universities/Schools. Many of their graduates successfully work in hospitals across the United States, Canada, and Europe. The university has been providing nursing education, including Bachelor of Science in Nursing since 1995. Moscow Polytechnic University is a unique specialized college university which trains prospective students in publishing houses, print shops, book-selling organizations and other various enterprises. 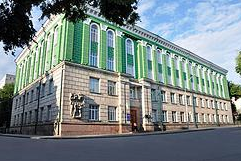 The university was established in 1930 and was originally named the Moscow Graphic Arts College. Over the course of an 80 year history, our university has been recognized as an educational and scientific center of knowledge well known for it’s highly qualified staff members and teaching traditions. Our university is the creator of almost 50 thousand specialists with over 500 Doctors of Science among them. Approximately one thousand of its graduates work in over 37 countries of Europe, Asia, Africa, and Latin America. Our former students own and operate leading publishing studios, print shops, and book trade networks in the Russian Federation, the CIS and the Baltic countries. 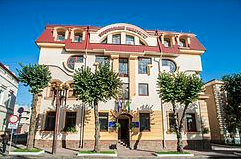 Ternopil National Economic University is one of the leading higher educational establishments of Ukraine that has the 4th level of accreditation. The University was established in 1966 and continued to grow until in 2006 by the Order of the President of Ukraine the University was conferred the status of “National”. Today, TNEU is a multidisciplinary educational complex consisting of fourteen total Faculties. The University’s close cooperation with forty-eight leading educational establishments of the USA, Germany, Poland, Bulgaria, France, the Netherlands, Denmark, Greece, China, Slovakia, Spain, and Mexico indicates great potential in skill formation, and international recognition of the TNEU’s research and pedagogic activity. Zenith A&S Inc. is a registered member with the American Translators Association. 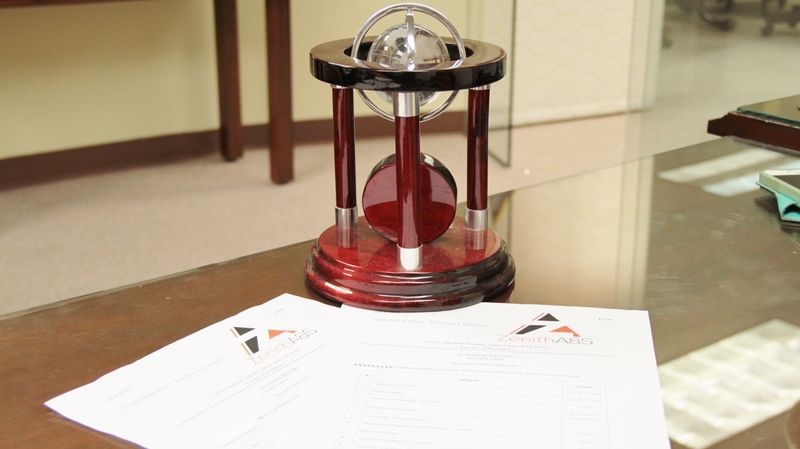 Whether it’s for educational, business, or personal purposes, Zenith A&S Inc. provides services for translation and apostille. The translators are qualified, associate members of the American Translators Association who strive to understand client’s needs, and commit to providing the highest level of service in the industry. Their professional translators and editors provide reliable, accurate translation for legal, medical, technical, financial, advertising and business documents. Global Professional Consulting – GPC is proud to announce a new partnership with ICEA – International Cultural and Educational Association. ICEA, that is lead by the director Elena Seitz, was founded in 2002 and is a U.S. based nonprofit organization that aims at preserving culture and science and aiding peaceful change to the world. This collaboration will allow GPC and ICEA to promote and broaden educational projects for professionals from Eastern Europeans countries. It will enable professionals from a number of fields to advance their professional growth and connect with American colleagues in order to expand knowledge and share experiences. New York Online is a web-based travel guide to New York City for international visitors. It is a one-stop shop: learn about New York’s places to visit, events, concerts, shows, restaurants, stores, sports, and buy your tickets for sightseeing tours, Broadway shows, Met opera etc. online. The website is available in English, Spanish, Portuguese, Russian, French, Polish, Simplified Chinese and Japanese.